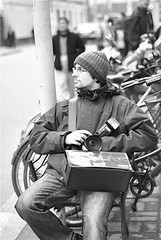 Once more: a flickr meetup in Shanghai downtown. This saturday 13 people were attending. Meeting and party with friends alldays or during weekend i used to take a cam with me. Some people writing diarys recording their life. I take pictures. With ambition.